173 Salem Street (currently the Eliot Upper School). This page will include updates on the planning process as the school grows to accomodate even more super students! 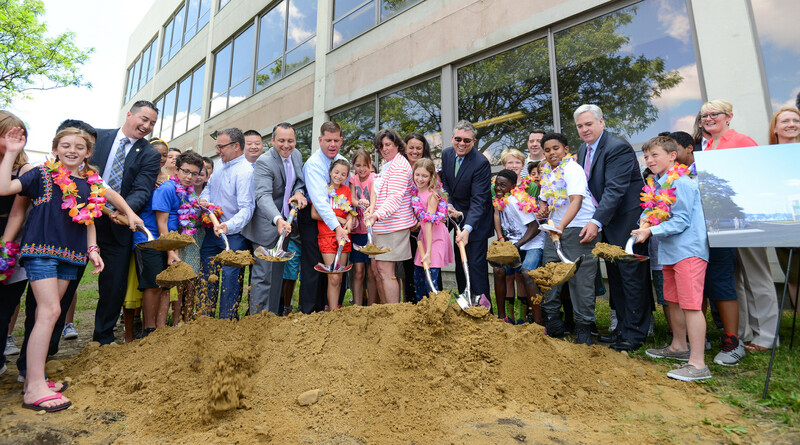 On Tuesday, June 22, 2017, the City and Boston Public School officials had the groundbreaking ceremony for the 585 Commercial Street building. This officially kicked-off the $20 million dollar renovation of the building set to be completed in the fall of 2019. The building will house the art studio, robotics-engineering lab and collaborative learning spaces. Below is a video from Northendwaterfront.com of the meeting where the building design was unveiled. CLICK HERE to read northendwaterfront.com editor Matt Conti’s summary of the Eliot Expansion meeting held at the Nazzaro Center on April 8, 2014.